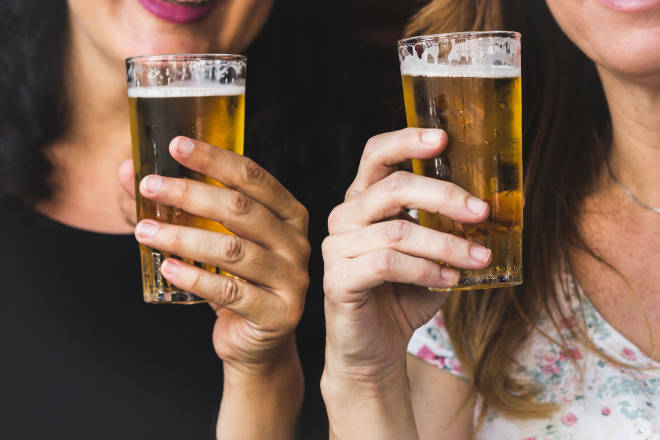 Recently, a few amateur beer aficionados from the New Mexico Magazine staff visited the New Mexico Hard Cider Tap Room, in Santa Fe, which serves only brews made in this fine state, to talk about their favorite summer beers. These were a few of their favorites. Find your own at the Las Cruces Summer Beerfest, August 18 (lcbeerfest.com). Made with Cluster, Willamette, and Cascade hops, this pale ale is flavorful, but light and refreshing, too. It’s a beer that bridges the gap for those who think IPAs deliver a little too much hoppiness and alcohol but still want something with a medium body and malty backbone. Pilsners were meant for sunny patios. Overlooked in the days of the heady IPA, they are flavorful and smooth, and you can drink more than one without feeling like you need to lie down. This particular pils is light, dry, crisp, and gulpable. It tastes like a classic beer should. Typically light, with heavy fruit and spice accents, saisons are great summer beers. They can be a little much for the casual beer drinker, but this farmhouse ale, named after the celestial marker of Chaco Canyon, is accessible and citrusy. Want more? Here are 5 more local beers brewed for summer.